Wizard of Oz Story line at "Fantasy in Sand"
"Fantasy In Sand" tells the story of Dorothy's Visit to Wonderful World Of Oz through sand sculptures. 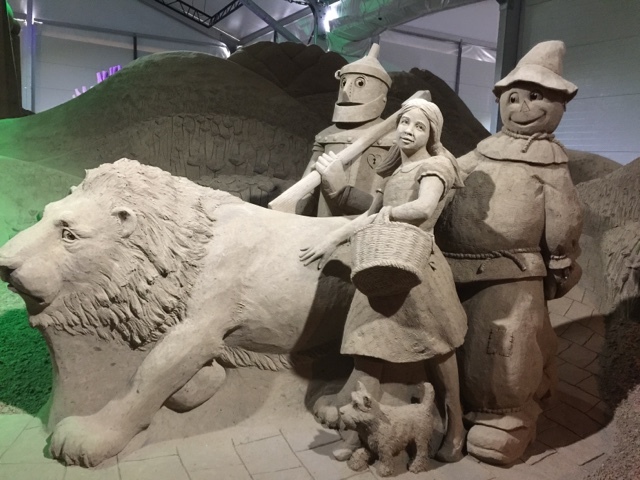 Wizard Of Oz “Fantasy in Sand” a spectacular exhibition of sand sculptures. Sculpture is a great way to introduce kids to art, and this exhibition event is perfect for specially young kids. 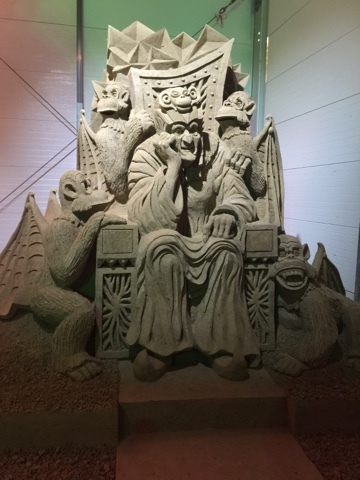 More than 20 sand sculptors worked for 2 weeks with 3500 tonnes of sand to create “Fantasy in Sand”. The result is a display of "Wizard Of Oz" sculptures. I really loved this exhibition, as did my family however my major reservations relate to price. A family ticket for 2 adults and 2 children is $82 dollars,Which is alot but well its acceptable considering the massive effort that went into creating such a masterpiece. Although food and drink are available on site the prices are exorbitant (more than $4 for a can of soft drink). 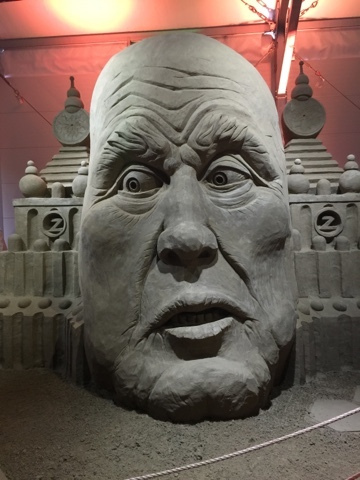 The way I would advise other families to tackle this is to tell your children exactly what they will be allowed to do at "Fantasy In Sand" prior to arriving e.g. look at the amazing sculptures and learn how to make some sculptures themselves. Also, bringing your own food is a must. 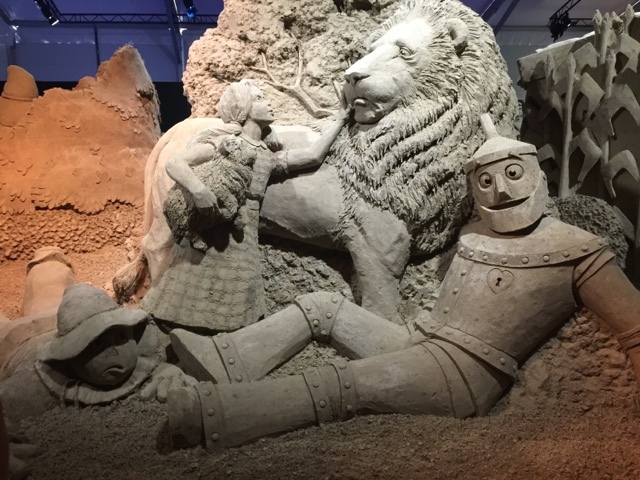 Overall a great experience at "Fantasy in Sand" we spend an hour and a half .